Is your end of tenancy fast approaching? Now is the time to give your house the most in-depth clean it’s ever had! Cleaning an entire house from top to bottom can take a very long time, and it’s beneficial to hire a cleaning company. We provide end of tenancy cleaning in Ipswich and we have experienced cleaners who will ensure that the house is smelling and looking incredible. 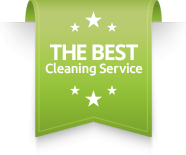 When it comes to cleaning, we cover it all! A deep and professional clean will allow the house to look immaculate for when you move out.